Most people can identify burl in veneers. In these thin wooden slices, the burl are manifested as intricate round patterns. 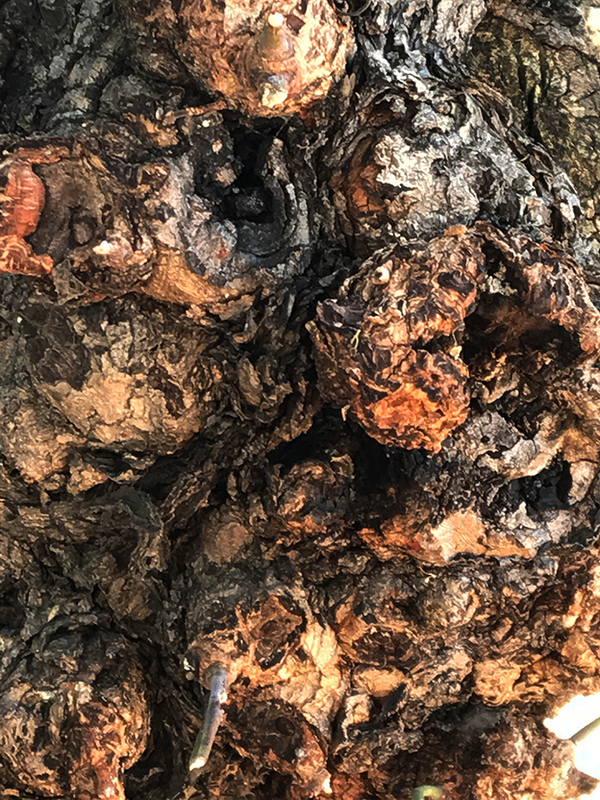 Burl found in the wild are bulgy wooden growths on the bark of trees. My study below is an examination of the texture of a collection of these growths. I used a thin fiber-nibbed pen to create the appropriate texture to the paper. I thought I could use thin, closely spaced lines to mimic the tree bark’s appearance. However, this type of shading is for wider areas that do not contain much detail. I did use irregular, squiggly lines to try to echo the structures hidden by shadows. I did think it necessary to use watercolor to emphasize the overall structure of this piece. 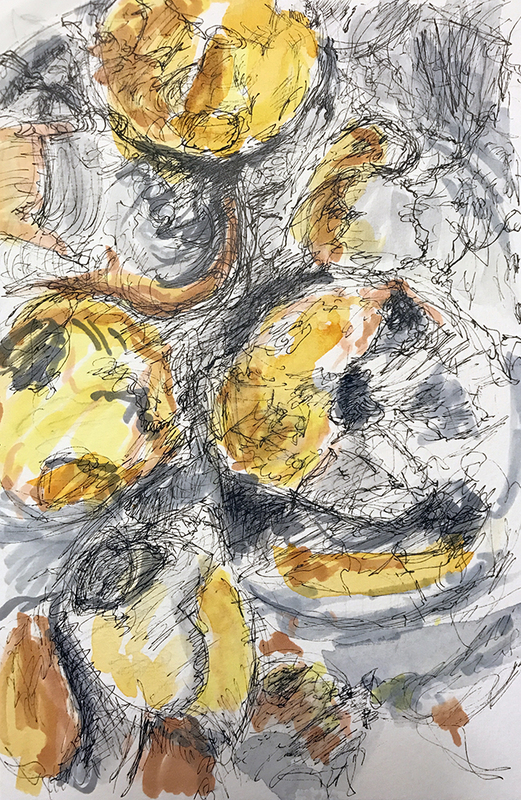 This entry was posted in Personal Stories and tagged abstract art, artistic process, burl, creative process, creativity, pen and ink, shading, texture, tree bark, watercolor. Bookmark the permalink. I love this. I think the burl is really speaking to you. What you’ve done here is beautiful.